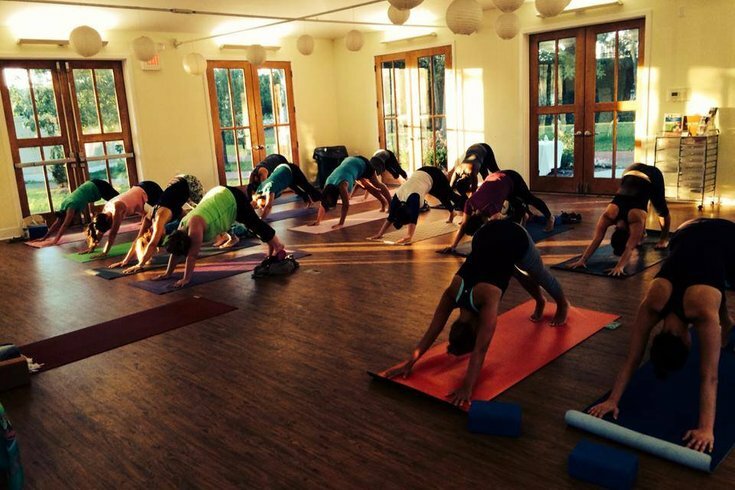 Pop Up Yoga Philly hosts another night of yoga Thursday, Jan. 29. Pop Up Yoga Philly describes itself as a cooperative of Philly-area yoga instructors working to spread the practice to neighborhoods all over the city. Rather than hosting classes in a studio, the group finds inventive locations all over the area where people get their "Om" on - past spots include the Waterworks and LOVE Park. Thursday, Jan. 29, the cooperative will hold a night of all-level vinyasa yoga at the Philadelphia History Museum on top of the world's largest walkable map of Philadelphia. We aren't sure where else there would be another walkable map of Philadelphia to compare it to, but it sounds like a cool location. Plus, yoga studios can be kind of blah, so any change of pace is a welcome one. After the class, continue your relaxation techniques with a drink from Dock Street Brewery of West Philadelphia, or get there early to tour the museum. Don't forget to bring your own yoga mat, too.